The Hillsborough-Millstone Municipal Alliance, also known as BoroAWARE, partnered with the NJ Adopt-A-Highway litter removal program to clean up a one mile stretch of Route 206 in Hillsborough. Volunteers from the Municipal Alliance took to the roadway, not only to clean up litter, but to bring awareness to the drug and alcohol prevention programs provided by the Alliance and their partners. On Saturday April 6th, travelers on Route 206 may have seen the NJDOT signature Alliance signs at the beginning and end of the mile where the clean up takes place in the spring and fall. Alliance members volunteered to complete the roadside clean up. 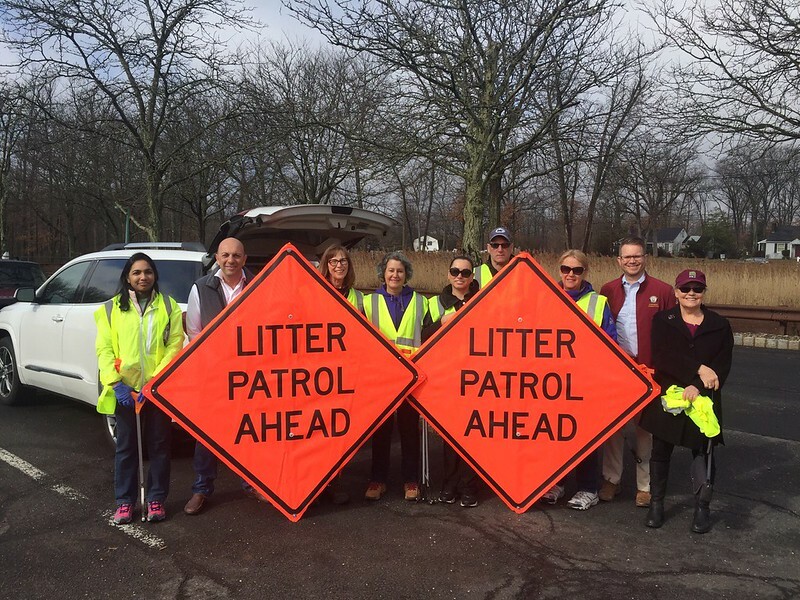 The Adopt-A-Highway Litter Removal Program offers volunteers an opportunity to clean up litter on New Jersey state highways. This public-spirited program extends the effectiveness of NJDOT’s ongoing effort to make state highways cleaner and more attractive and at the same time control the growing cost of litter removal.